Tesla’s upcoming Model Y crossover could be the company’s most important model yet, finally propelling it into a long-promised self-sustainable future, according to the latest information from the supply industry and hints from company boss Elon Musk. Although the Model Y is set to be based on the structure that underpins the existing Model 3 saloon, the fourth vehicle in Tesla’s range will be produced in a radically different way to its predecessors. Opinion: Is Tesla moving too quickly? Autocar understands that the Model Y could be built outside the US, is likely to feature a new electrical architecture and will be more thoroughly resolved from a manufacturing perspective. Perhaps most importantly, though, it will compete in a much bigger market segment than the troubled Model 3. Industry experts believe the demand for electric crossovers will explode in the coming years. The Model Y will fight for market share against the likes of the Jaguar I-Pace and Audi E-tron. The announcement of a 2020 launch for the Model Y came in early May during an earnings call with analysts, during which Musk came under fire for an eccentric performance. The company CEO’s insistence that the Model Y was only “24 months” away from launch exasperated some who felt that Tesla should be concentrating on getting production of the Model 3 back on track. There was also bafflement about the prospect of adding a new model because, as Musk himself said, Tesla’s factory in Fremont, California, is already “jam-packed”. However, a solution could be found in China. On 10 May, Tesla registered a new company called Tesla (Shanghai) Co Ltd, which is intended to deal in EVs, batteries and spares. The move comes after the Chinese government recently announced that it will phase out the rules that require foreign car makers to forge 50:50 manufacturing partnerships with local companies. Tesla had been trying to get permission to build a factory in Shanghai without a Chinese partnership but had failed to convince the Chinese authorities. The ownership restrictions will be lifted first on electric cars, a move scheduled to happen later this year. Tesla currently sells cars in the booming Chinese EV market but suffers a 25% import tax. Also on 10 May, Tesla’s battery partner Panasonic unexpectedly revealed that it was poised to build battery packs with the car maker in China as well as in the US, although these plans were later said to be “not set in concrete”. Analysts say Tesla and Panasonic are both in tight financial situations and significant investments will have to be weighed carefully, which might explain why any formal announcement of a Chinese factory is scheduled for the end of the year. It seems that Tesla is already working on leap-frogging the Model 3 technically and getting the Model Y ready for May 2020. Executing a 24-month launch plan would be easier in China than in the US, and Tesla would also be manufacturing in the country that buys 50% of all EVs made. Although it will be based on the Model 3’s steel and aluminium hybrid structure, Musk said the Model Y will use new ‘Flex circuit’ technology. Flex circuits replace enormous lengths of conventional cable with extremely thin conductive elements sandwiched between flexible plastic mouldings. This technology will be used on the Model Y to dramatically reduce the amount of wiring in the car. While the Model 3 is said to have 1.5km of wiring, the Model Y’s new flex circuits could reduce that to just 100m. Its also highly likely that the production line for the Model Y will be different to that for the Model 3. While the flex circuits will allow greater automation by eliminating the extremely complex (and heavy) wiring looms from the production line, Tesla will remove other automated processes. Musk recently said that the Model 3 line is over-automated and major changes are being made at Fremont to relieve ‘robotic bottlenecks’. Audi E-tron: Ingolstadt’s first mass-produced electric car will arrive next year. Audi is promising Tesla-beating recharging times from its new 150kW chargers. Ford Mach 1: The front-driven high-performance crossover will launch in 2020. The Blue Oval has recently doubled its investment in battery-electric vehicles. 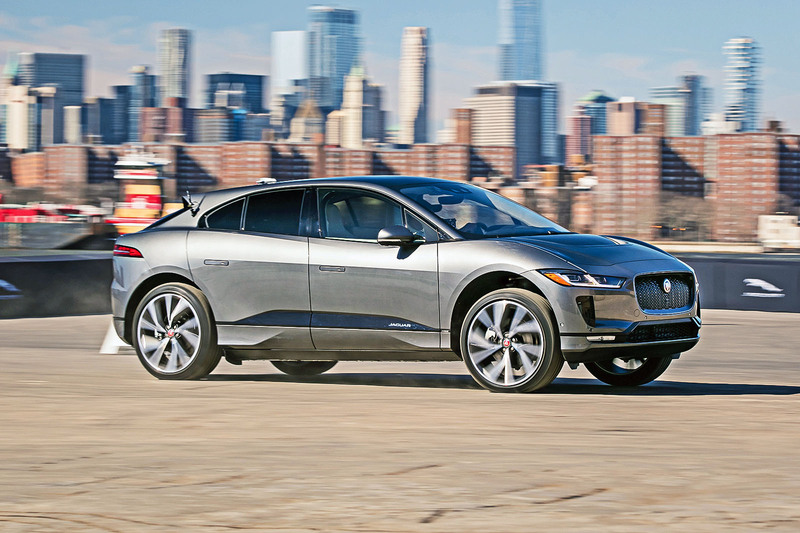 Jaguar I-Pace: The British firm trumped its established automotive rivals by getting its electric performance SUV to market quickest. I’d avoid ordering one as Tesla will be a year late with the car and the wiring system will probably have reliability issues like everything else they make. Why show or announce new models that are at best two years away? !, the type three is only just getting delivered to customers in the US, RHD is at least two years away, how can you expect People to wait that long?, and what if another makers beats them to market like Jaguar with the I-pace?, as you may have guessed I’m not a fan of Tesla, no, scratch that, I’m not a fan of Elon Musks way of doing things. I’m fairly sure it was on Autocars Web Page......? And meanwhile where are the electric trucks, and the Roadster and the domestic battery packs and the...Often the problem for 'idea men' they need the constant hit of something new. I suppose they see it as more a production restriction now, the concept's great with the car being well received and they've still got over 400,000 orders to fill. If they were to open order books in 6 months they'd just get bad press. Anyhow looks like pre-production 1 year, order book open in 18 months. Something to look forward to. It is not same old cheap labour story anymore. Chinese have better organisation , hugh technical work force and state of the art facilities. If they don't they can build one in very quick time frame. Hence everyone wants to build factories over there. If you want cheap labour you'd move to Africa or Bangladesh. Hope we learn from this and encourage engineering studies and make them likeable in the UK, not just finance. 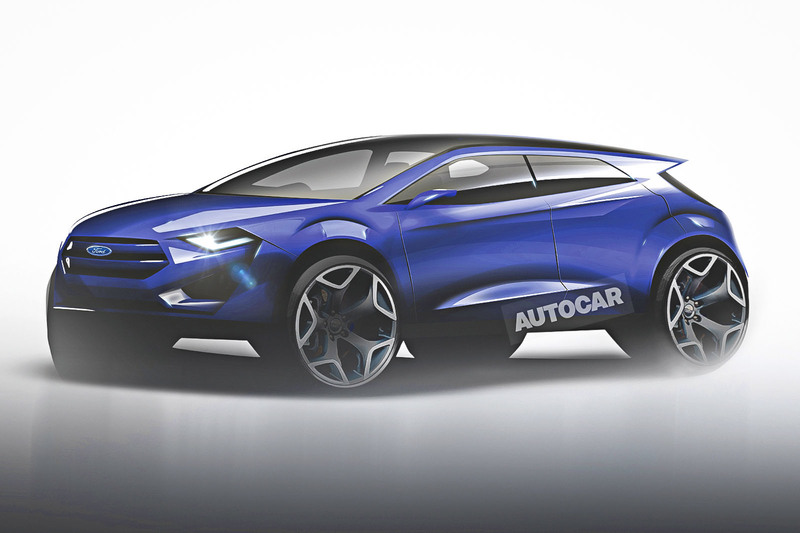 Really like the design AutoCar is projecting. Hopefully Tesla will produce something equally as attractive for the Y. Nice mix of elegant design while still having a certain rugged aspect. Nice work AutoCar.